Movie Retrospective: 'Endless Summer' While corny and dated and even offensive in places, the seminal surfing film The Endless Summer, now getting a 50th anniversary re-release, remains a rich visual exploration of the freedom of a wave. Widely considered one of the best surfer movies in American history, The Endless Summer celebrates its 50th anniversary this week. 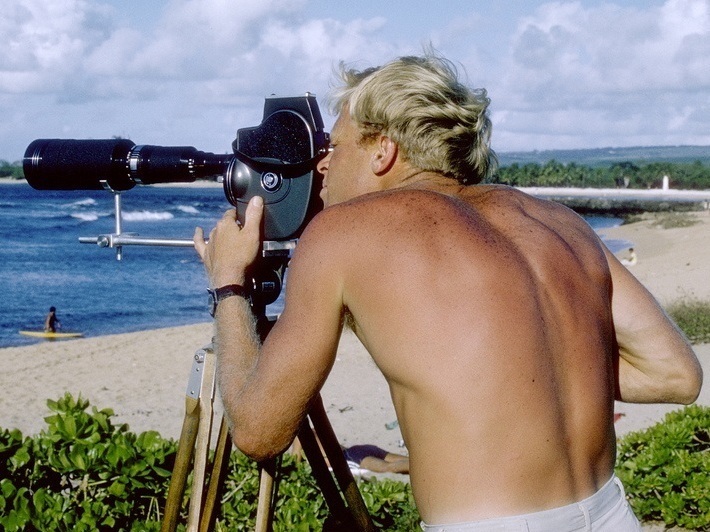 After the film's success, director Bruce Brown (pictured above during filming) directed four additional documentaries, including a sequel -- The Endless Summer II. Robert August hits some waves off the coast of South Africa in The Endless Summer (1966). The film went on to inspire surfing communities all over the world. "This is Bruce Brown, thank you for watching, I hope you enjoyed my film." That line, sounding a little like a proud eighth-grader closing out a book report he felt was particularly insightful, is the last piece of narration in the landmark 1964 surfing film The Endless Summer (which didn't receive its nationwide theatrical release until 1966). It's a little amateurish, eye-rollingly hokey, and yet irresistibly endearing in its aw-shucks wholesome sincerity. It's those qualities that have allowed the film to improbably endure as the most influential adventure sports documentary ever made, and warrant another limited theatrical run in a few dozen theaters nationwide to celebrate a half-century since it first screened. Documentaries about sports like surfing, skiing, snow and skateboarding, or mountain climbing are a niche market, often screened only at specialized film festivals before living out their existences being played in the background at ski lodges or in the homes of enthusiasts. Endless Summer didn't invent the genre, but it was unique in its huge crossover appeal, sparking popular interest in surf culture that has endured at the movies ever since, whether in direct descendants like the 2003 documentary Step into Liquid (directed by Brown's son, Dana), or Keanu Reeves' undercover surfing "EFF...BEE...EYE...Agent!" in 1991's Point Break. Many of the surfing movies that rode Endless Summer's wake presented surfing as the apotheosis of living-on-the-edge cool, with ripped dudes and lean ladies speaking a language all their own while devoting their days to the romantic pursuit of the perfect wave. (Spoiler alert: Brown & Co. found it while filming the movie in 1963, and it's in South Africa.) But Endless Summer has none of that. Its primary subjects, Mike Hynson and Robert August — the two world-class surfers Brown takes on a trip around the world trying to follow summer all year round — are as clean-cut and full of all-American innocence as Wally and the Beaver. They're about as dangerous as Cub Scouts. In one sequence, they're so nervous and clumsy around a bikini-clad surfer in Australia that they can barely keep upright on their boards. The image of laconic stoner cool surrounding surf culture — as inescapable as the cloud of smoke inside Jeff Spicoli's van — is nowhere to be found in the film either. Mike and Robert are unreserved enthusiasts, though we never get to hear them speak. Brown only had cash enough for reels and reels of 16mm film and for travel, room and board for the minimal production. Sound recording was an unnecessary luxury for a film that was all about the visual wonder of people doing their best real-world approximation of walking on water. To make up for the lack of location audio, Brown fills the film with two sounds. The first is the wall-to-wall music, mostly prototypical sunny surf rock from a band called The Sandals, along with a smattering of jazz, brassy fanfares (usually for the more dangerous beaches), and some local African music during the portions on that continent. The second is Brown himself, delivering a nonstop narration that veers from the stiff tone of '60s educational reels to filling in the dialogue we can't hear being said onscreen, to corny jokes that only a dad could be proud of. If there's anything hopelessly dated about the film, it's that narration. At best, Brown imparts a solid background on surfing terms and techniques. More cringe-worthy are his references to a flotation device worn by one young boy as a growth on his back, or the exaggerated winking behind calling a bikini top a "chest protector." Worst of all is the mortifying treatment of the locals in Senegal and Ghana, which includes an unironic and gleeful fascination with their perceived primitivism, and lines like, "Being good Africans, they threw a few rocks." Brown is so affable that it's tempting to endure such offenses the way one does with a sweet older relative with an unfortunate tendency to spout off occasional casual bursts of racism. You mumble something uncomfortably to the friend you brought home with you for Christmas about how she grew up in a different time, and then shift the conversation as quickly as possible to how good her snickerdoodles are. The moment is still an uncomfortable one. The cookies here would be all the fantastic footage of Mike and Robert catching waves at beaches from Hawaii to Africa to Australia, to Tahiti, to California. While it might not be as crisp or close-up as more modern efforts, Brown has an eye for making beach-bound shots of the surfers mesmerizing, and is especially adept at employing magic-hour lighting to enhance the romance of his wandering, globe-hopping project. 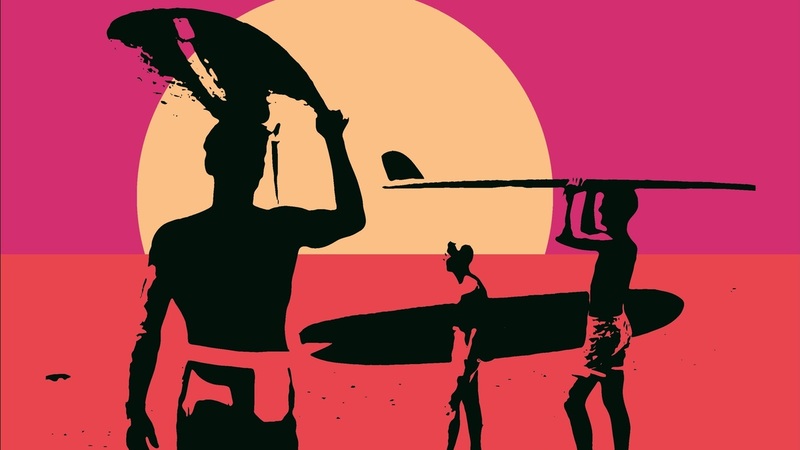 Endless Summer serves as an effective template for adventure sports docs for decades to follow by effectively rendering his soundtrack irrelevant. As with a great silent film, one gets the picture just by watching the pictures, and the film is as good with the sound off as it is with it on. That's the key to its endurance; it's part surfing film, part travelogue, occasionally even anthropological study and wildlife film, but ultimately it visually taps into the wanderlust that sends us to far-flung beaches in search of an escape from life that we can't find at home. We don't have to be surfing experts who can appreciate Mike and Robert's technique, or know which new part of the globe they're wave-hunting in. But when they balance on a board on a perfectly curling wave, they're a portrait of the balance and serenity we all seek from the ideal summer vacation.